Yesterday’s post covered the benefits of hiring veterans, as well as information about how to better recruit veterans. Below is more information about how to hire and retain veterans. Know how to interview veterans. When interviewing veterans, don’t ask questions about their literal battle scars, how or if they were wounded in combat, etc. Instead, always focus on how their military training and experiences apply to the current position to which they’re applying. And make sure you are considering all their work experiences along with their military background, including their technical aptitudes and their education—just as you would with any other candidate. This Civilian-Military Occupation Translator will help. Conduct personality assessments. Sometimes it can be difficult to match military jobs to civilian jobs. To help overcome this obstacle, ask candidates to take a personality assessment to see what roles and positions inside your organization align best with their personalities, interests, experiences, and aptitudes. Understand and use your incentives. Your organization might be eligible for tax incentives when it decides to hire more veterans. Read more about the Work Opportunity Tax Credit (WOTC) Vow to Hire Heroes and this detailed post published by Military.com. Implement transition assistance programs. Transition assistance programs help vets adapt to civilian life in the workplace after they have been injured in some way (physically or mentally) while deployed and are also designed to ensure every vet’s success in his or her desired career path post-deployment. Consult these resources when looking for the tools and materials you need. Provide mentorships and peer coaching programs. Veterans will greatly benefit from mentorship relationships, especially if their mentors are veterans themselves who have learned how to be successful in a civilian occupation. Peer coaching programs will also offer veterans an opportunity to talk to someone else who gets their struggles and obstacles as they return to work in the civilian arena. Such programs will keep veterans motivated and engaged because they will always have someone rooting for their success at your organization. Expand current employee assistance program options. While the G.I. Bill offered by the federal government is a great educational incentive available to vets, it doesn’t always cover all their educational costs. Offer programs that will help vets pay for all their educational costs. And consider expanding mental health benefits for vets suffering from things like post-traumatic stress disorder (PTSD) and health benefits for those vets who might need physical therapy. Such options will keep vets who will greatly benefit from them around long term. Do something for Veterans Day and other important holidays. To show your veteran employees that you care about them, make sure they’re able to celebrate Veterans Day and other important military-related holidays. Take them out to lunch or host an office party, and let them know that you care about their service and what they do for your organization and that they are an integral asset to your company culture and operations. 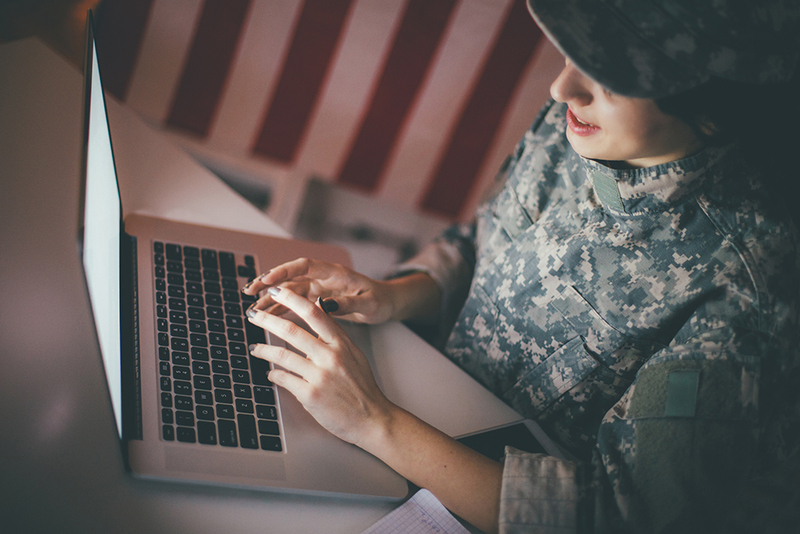 If you’re considering hiring vets and want them to stay with your organization long term, consider the tips and information highlighted above and in yesterday’s post. Learn more about recruiting and hiring veterans when you attend the breakout sessions, Hiring Veterans: How to Attract, Recruit, and Retain America’s Finest, at RecruitCon 2019, in Austin, Texas on May 8-10, 2019. Register today and receive Early Bird pricing! Click on the banner below for more information.